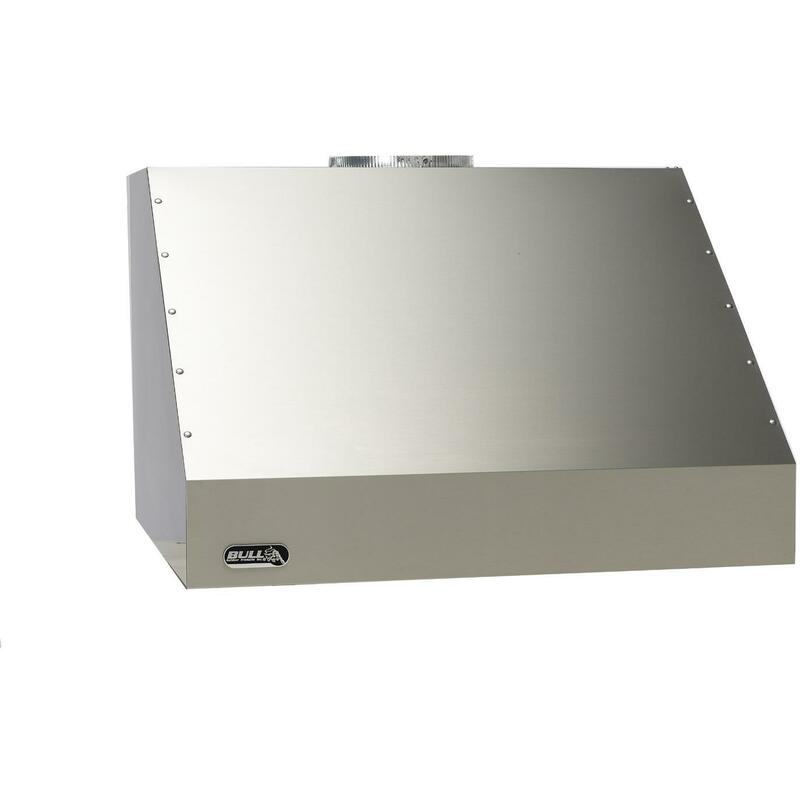 Product Description: Blaze 42-Inch Stainless Steel Outdoor Vent Hood - 2000 CFM - BLZ-WVH-42. Extra deep and high capacity design ensures the Blaze outdoor vent hood can handle any amount of grilling day or night. Two, individually controlled internal 1000 CFM blowers with four speed settings manage the smoke intake. At an industry leading 2000 CFM, Blaze vent hoods are perfect for the customer who wants to do the best they can to ensure their outdoor living space is as clear of smoke as possible. The 36-inch depth allows the hood to better cover the grill and capture more grease and smoke. Most vent hoods require an extra piece to extend the hood further to the front of the grill, while the Blaze vent hood is stronger and deeper to cover that area. The same powerful design also allows you to install the vent hood at a higher position above the cooking surface to allow more headroom. The motors can be configured to vent horizontally out the back of the hood or vertically, which allows you to install the vent hood to suit your specific needs. Four individual lights can be adjusted to four brightness settings and, combined with the depth, help better illuminate the cooking surface compared to a standard depth vent hood. The retractable controls with lighting facing help prevent grease buildup for easy cleaning. Six, commercial-style baffle filters help prevent grease from entering the duct work and are dishwasher safe for easy cleaning. 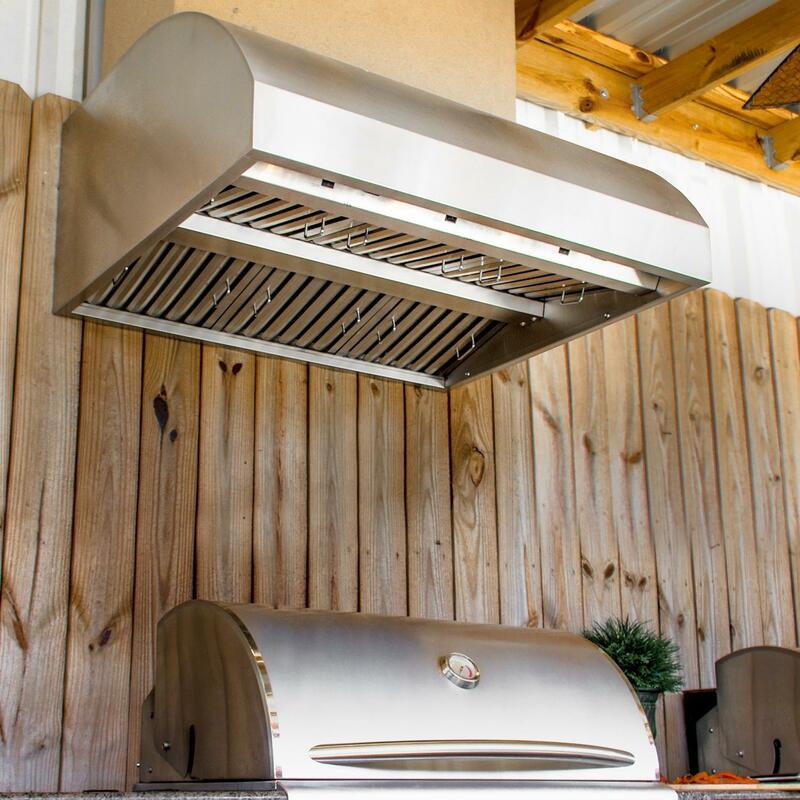 Constructed of 304 grade stainless steel, this vent hood with a rounded canopy will withstand the outdoor elements and match all components of your outdoor kitchen. The extreme performance and sleek design is the perfect complement for almost any outdoor BBQ grill.